What is Project First Sale? Is Project First Sale a Scam? To find out read my Project First Sale Review that way you can make your own decision is Project First Sale a scam or is it legit? Project First Sale includes software and training to utilize the power of video marketing and social media to get traffic, leads and sales. The software has built in capability to create videos that the user can embed on Facebook fan pages, blogs or any other platform with their affiliate links. Step-by-step training videos are included along with ready made commission campaigns. 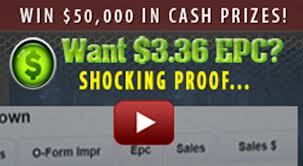 Three reasons why this should be promoted by already established affiliates with there own opt-in list is #1 $50,00 in cash prizes, Incredible daily cash contest with massive leader board prizes, #2 High EPC guaranteed! We are Aggressively testing the offer to make this a massively profitable venture, #3 Massive Reciprocal! We guarantee 10.000 clicks to all our top partners – no questions asked. As you can see this is designed for the promoters to make money off of you. Who is Project First Sale for? This is set up to attract new comers to internet marketing and also ones that are not to informed about what to look for. This system is mainly designed for marketers that have already established themselves with a large e-mail opt -in list that they can spam this too and hope for a large amount of them to fall for another well played out video of epic riches over night by showing rides in large stretch limos and a ride in a private helicopter to his very expensive home. Also shows screen shots of his clickbank account with large daily amounts of money, but if you know anything about internet marketing clickbank is a place for internet gurus to sell there products to other internet marketers mainly. Says he will give you step by step videos to follow and personally help you set up your campaigns. I did not pay the money to get inside but it sounds to me like another scam to get your money. Now this guru is giving you information that you can get from the internet by just taking time to look it up. I have seen this sales pitch so many times in the past and they all end up the same way, your bank account empty and no income coming in or you are spending more then you are bringing in which is the same result. This guy is also your competition if you are trying to get into Internet marketing. I have watched the whole video and it stinks of paid actors, rented limo’s and rented Helicopters that take off from one end of the runway and land at the other end to a different colored limo LOL. I hope I answered the question What Is Project First Sale! Let m e know if you need any more information about this or other scams!